For the past 16 years I have been a freelance management consultant working for charities, voluntary and community organisations, community partnerships, and with the statutory sector. My passion is helping large and small organisations manage better in a changing environment. I helped with service development, fundraising, business planning, contracts and tendering, and strategic and organisational development. I am currently offering the final tranche of training courses on fundraising and tendering, including “Ten Steps to the Perfect Fundraising Bid“ (see below). 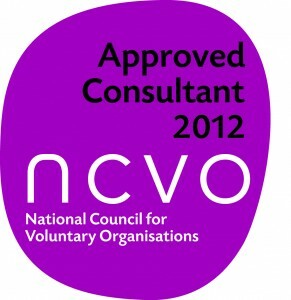 I an an Approved Consultant with NCVO (the National Council for Voluntary Organisations), and was on the approved lists for Capacitybuilders in Dorset, Somerset and Hampshire. I have a background of working with Local Authorities and as a Health Authority Non-Executive Director, which brought a multi-sectoral perspective to my work. “Tamara’s critique of our situation was masterful – she had clearly done her homework and brought effective analytical skills to bear. Key issues clearly exposed and questions within them cited in a way that facilitated productive discussion. Tamara’s knowledge of ‘the territory’ was evident and therefore she not only gained the confidence of the group but was able to aid understanding through helpful contextualization of the issues. (She) was encouraging, enthusing and energising. Moved seamlessly into action planning. We therefore left with a clear set of strategic actions.” The Venerable Paul Taylor, Chair of Trustees, Footprints (May 2011). “Ten Steps to the Perfect Funding Bid” & “Advanced Bid-Writing: The Power of Words”. Both these courses have run regularly across Devon and Somerset. “Tamara was passionate, honest and interested. This made the course engaging and made it feel individually tailored.” “Very approachable and helpful tutor. Just the right level of challenge.” “Lots of little gems to take home and use in future bids. Very stimulating day.” (VISTA 17.11.11). These are the LAST opportunities to attend these popular courses prior to my move to Spain at the end of March.